Carrying coladas, purse-sized puppies and mountains of luggage, passengers at the terminal of Miami International Airport rushed on Wednesday to board departing flights, going about their usual routines. Many ignored the members of the National Air Traffic Controllers Association, also known as NATCA, standing in the middle of the chaos, passing out flyers. Researchers including the Union of Concerned Scientists have argued that climate change is exacerbating the strength of hurricanes. Yet not a single session at the 32nd Annual Governor’s Hurricane Conference, held this week in West Palm Beach, focused on climate change research as it relates to hurricanes. The National Hurricane Center plans to shrink the dreaded "cone of uncertainty" during the upcoming season based on an improving forecast record. 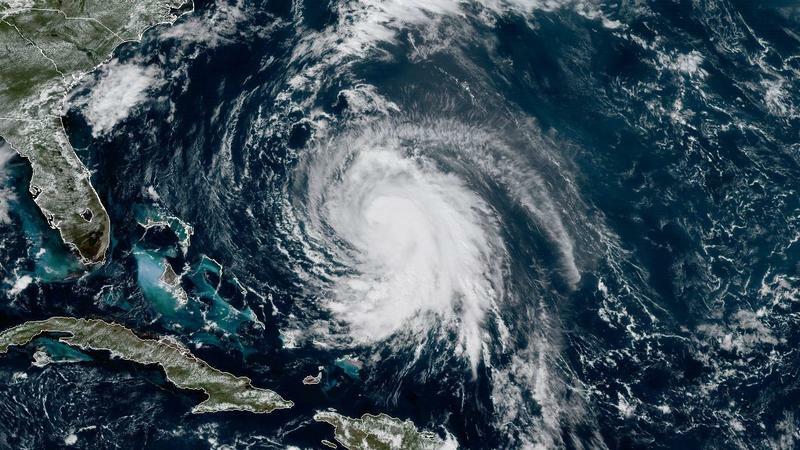 People who live along the U.S. East Coast from North Carolina up to New England should monitor Hurricane Jose, forecasters say. The storm's winds won't get close to land until Sunday or Monday — but it was formally declared a hurricane again on Friday afternoon.
. According to the latest National Hurricane Center (NHC) advisory, issued at 8 am, Colin is still moving in a northeast trajectory with sustained winds of 50 mph. The Tropical Storm was discontinued for the northern part of Florida but it is still in place for parts of Georgia and North Carolina. When a hurricane barrels toward Florida, pilots with the National Oceanic and Atmospheric Administration or NOAA fly their jets into the storm. The jets are nicknamed “hurricane hunters,” and the information they collect helps with forecasts and evacuation orders. The planes are housed at MacDill Air Force base in Tampa, but not for long. The base is evicting them. Now, they’re looking for a new home. Hurricane season began early this year, with Tropical Storm Ana edging along the coast of the Carolinas over the weekend. Which means hurricane-hunter aircraft were already at work, even before some of the fleet had finished its annual awareness tour of the Atlantic coast. Another hurricane season has flown by without a lot of wind. The 2014 Atlantic hurricane season will come to an end on Sunday having produced just eight named storms: Arthur, Bertha, Cristobal, Dolly, Edouard, Fay, Gonzalo, Hanna. “If this were a typical year we would have seen 12 named storms,” said National Hurricane Center spokesman Dennis Feltgen. A total of six tropical storms turned into hurricanes. Two of those grew into Category 3 or higher storms. And yet we need hurricanes once in a while. They’re a sort of planetary thermostat that cools oceans and redistributes hot air. Their rains more effectively alleviate droughts, and that can be a help instead of a horror to impoverished countries like Haiti. Tropical Storm Sandy is expected to bring wind and rain to South Florida Thursday and Friday as it tracks north toward the Bahamas through Jamaica and Cuba. A tropical storm watch is already in effect from Jupiter Inlet south to the Florida Keys. Get the latest update from the National Hurricane Center.